Where are rates headed? Down! 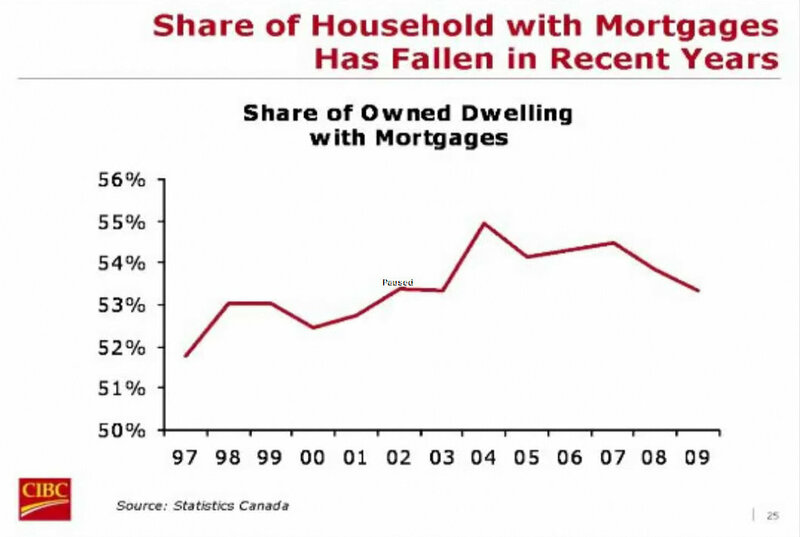 Whenever there’s speculation that the Bank of Canada (BoC) will raise its key interest rate – or rates actually rise – many people are preoccupied worrying about locking in if they have a variable rate or renewing early in a fixed rate. But, don’t panic! Rates aren’t going through the roof. Remember all those pessimists who were calling for a housing bubble or collapse? If you listened to them and rented for the past eight years, how much would you have lost? How much would your rent have increased since then? And would you still be able to rent that condo or house… or would your landlord possibly have plans to sell it and leave you out in the cold? We used to expect an economic slowdown or recession every five years. But something happened after the last big recession in 1990. Since then, there has really only been one recession: in 2009. This came off the heels of the infamous US subprime mortgage crisis that crippled most of the world’s economies for years. Yet, in Canada, we got off relatively easy. Our slowdown lasted less than a year. Interest Rates are Rising… and Expected to Continue… But! Rates have been rising gradually over the past six months following several years of historically-low rates. There should be no surprise that rates are rising – it was bound to happen. But, we can be thankful they’re not predicted to spike. It’s much easier to deal with – and plan for – gradual increases. 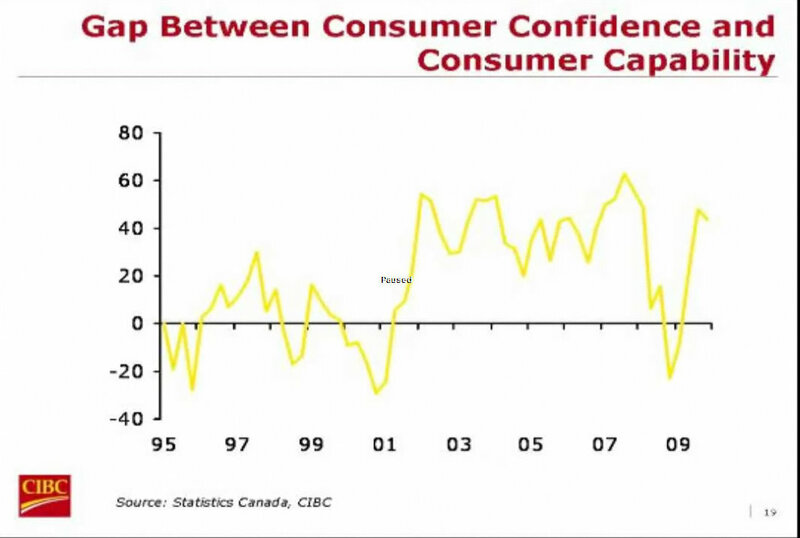 Benjamin Tal, Deputy Chief Economist of CIBC World Markets Inc, spoke last week about his predictions for rates and a bunch of other economic indicators. I’ve been following him for 15 years now. He’s one of the few economists whom I respect, as his forecasts have proven very accurate. So, let’s pay attention! Last week, we had the privilege of listening to Ben Tal, Senior Economist with CIBC. He said we can expect rate hikes of between 1.00% to 3.00% over the next 2 years… but he also said that there is no straight line when it comes to interest rate hikes… so we will see staggered rate movement… Mr. Tal said that he does not see the need for anything above this given that the motivation for any rate hikes by the Bank of Canada is slow the economy and keep inflation in check. 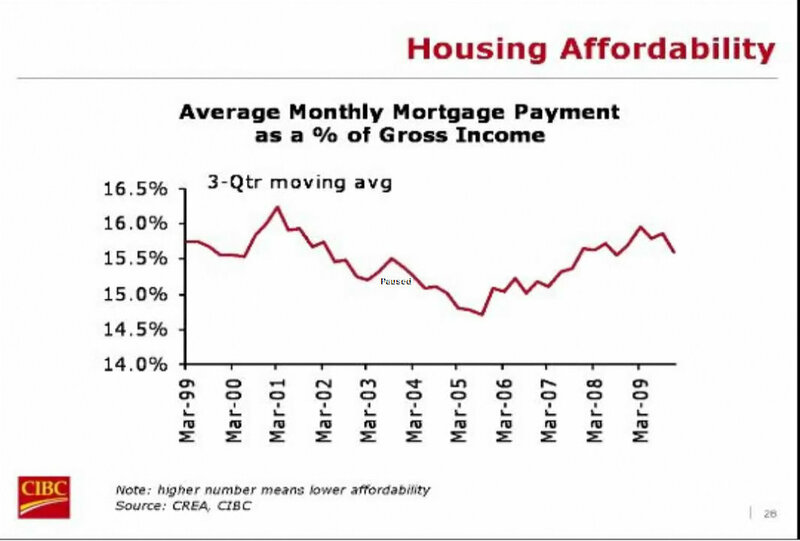 There were 4 charts in particular that caught my eye..
4-Hosing Affordability…. 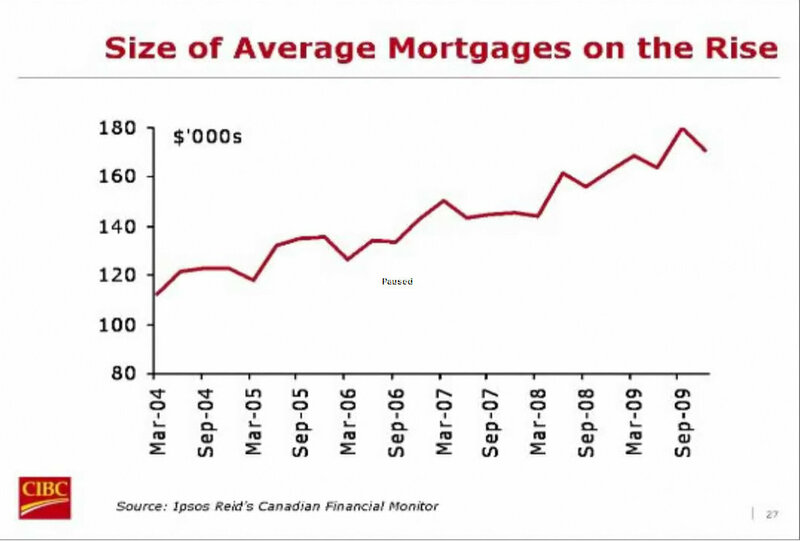 saving my favorite for last… I’m a big believer in tailoring the mortgage around your affordability.. and this chart shows us that on average, we have a lot of capacity when it comes to absorbing interest rate hikes… this is a chart that should make all Canadians feel good..